Bryan Zerhusen's practice spans all aspects of domestic and foreign patent preparation, prosecution, and counseling for innovators in the chemical and life science industries. Chair of the firm's Life Sciences Practice Group, Bryan’s clients include solo inventors, academic institutions, foreign law firms, venture firms, as well as companies ranging from start-ups to global corporations in the medical biotechnology, agricultural biotechnology, diagnostic, chemical, pharmaceutical, medical device and healthcare sectors. 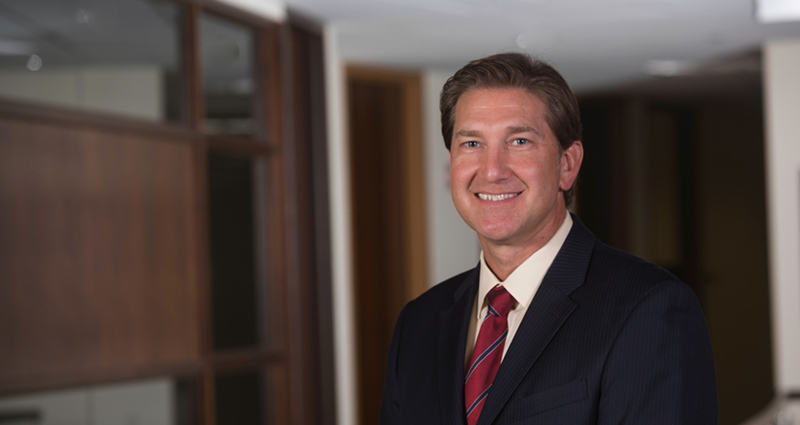 In particular, Bryan routinely performs patent drafting and prosecution; counsels clients on strategic IP portfolio management; prepares patentability and freedom-to-operate searching, analysis and opinions; prosecutes patent reexaminations; conducts due diligence investigations; and provides IP litigation support. Bryan also has extensive experience negotiating and preparing agreements relevant to the life science industry, including collaborative agreements and IP licensing agreements on behalf of solo inventors, venture firms, start-ups and emerging companies. Procured domestic and international patent protection for a biopharmaceutical start-up company from inception through three fund raising rounds, multiple industry collaborations, public offering, and anticipated first IND filing. Performed a large-scale due diligence study of an innovative biotechnology company developing novel antibody-based therapeutics for a global venture firm in connection with a $40 MM investment round. Performed a large-scale due diligence study for a consortium of venture firms in connection with a $15 MM investment in a company developing novel strategies for developing small molecules that target proteins for degradation. Procured domestic and international patent protection for a biotechnology start-up company for an IND-ready protein therapeutic. Petitioned and prosecuted the Inter partes reexamination of three patents covering dietary supplement formulations for a client wishing to make and sell related products. Defended ex parte and inter partes reexaminations on behalf of a large pharmaceutical company for a drug formulation generating $100 MM/year in revenue. Cantor Colburn has expanded its Life Sciences Practice Group with the addition of Bryan D. Zerhusen, Ph.D. as a partner in the firm’s Hartford headquarters office. Dr. Zerhusen will be the Chair of the firm’s exceptionally talented life sciences practice.